RSD with dystonic features represents yet another special category of sympathetic pain. 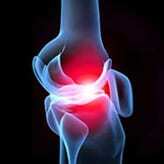 In this case the person afflicted develops both features of reflex sympathetic dystrophy and a movement disorder. In mild cases there may be only a complaint of decreased balance or dexterity. In moderate cases there may be visible contractions of a single muscle (like a writer’s cramp) and in more severe cases an entire limb may move about uncontrollably. While no one really knows for sure, it is thought that the over-activity of the C fiber causes “cross talk” to neighboring motor nerve fibers (like a short circuit) and causes the motor nerve to fire. It may also be due to a defect in the brainstem itself, neurological reflex arcs involving the peripheral muscle spindle and sympathetic nerve fibers, or central nervous system alterations that cause signals to be improperly routed. Peripheral Muscle spindle/sympathetic efferent fiber reflex arcs (a feed back loop between muscle and nerve) and central biasing at wide dynamic range neurons or brainstem (works like a broken traffic light with lots of traffic.) are other possible explanations. Thermographic study most often reveals regionalized vasoconstriction. 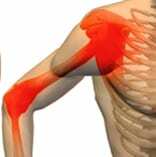 Electromyographic (EMG) examination can show which muscles are firing in an abnormal pattern. Sympathetic blockade rarely offers relief, or only temporary or minor at best. Treatment instead must first be directed toward stopping the movement disorder (which itself causes further vasoconstriction, fatigue, and pain in the involved limb). Anti-Parkinson drugs, muscle relaxers, non-steroidal anti-inflammatory medicines, and Botulinum (denatured botulinum toxin) is best suited for this. Once the movement has been controlled, treatment of the underlying Triple C Syndrome should ensue. Decreased coordination and dexterity – Reduced skill in using one’s hands or body. This is involuntary; it cannot be intentionally controlled. It is not the same as a “Tremor” — shaking you can feel and may or may not see. 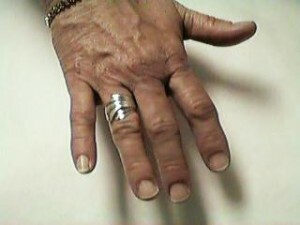 Focal Myodynia – A form of dystonia (abnormal muscle tone). It is when a single muscle contracts and then relaxes. True Motor Dystrophy – Constant contraction of large muscle groups.